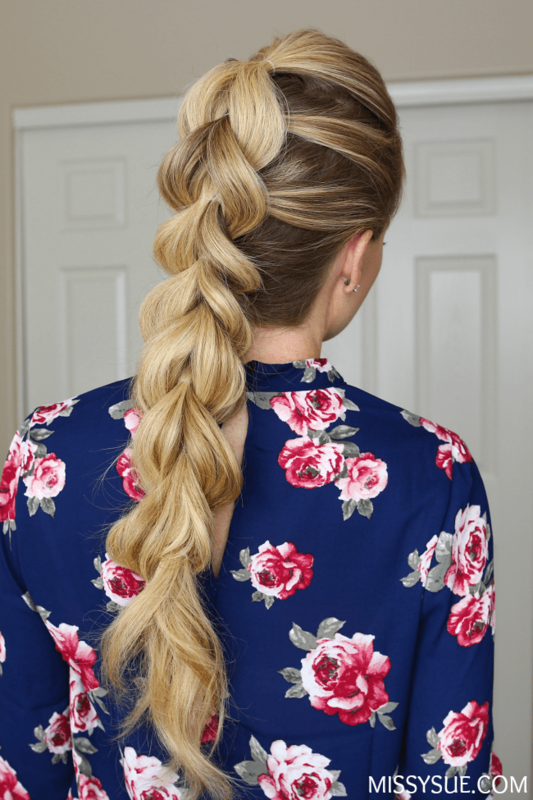 If you’re new to braiding then the pull through braid will quickly become your new favorite. It looks impossibly tricky but it’s actually not even a braid at all! Combining a pattern of ponytails together is the secret to creating this trendy style and if you haven’t tried it out yet then check out the tutorial below and start practicing before all those holiday parties come and go! 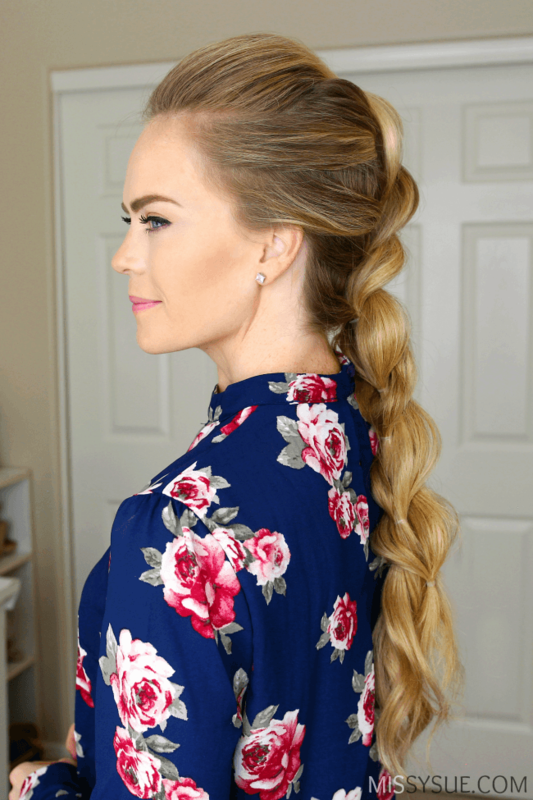 Leave a comment below if you’re already obsessed with this braid! Step 1 / Brush the hair straight back and divide off a section at the crown, tying it off with an elastic band. Step 2 / Clip this section out of the way. Step 3 / Pick up a new section of hair underneath the first and secure it with another elastic band. Step 4 / Let down the top ponytail and split it into two equal sections. Wrap the two sections around the second ponytail. Step 5 / Clip away the second ponytail. Step 6 / Divide off a new section of hair underneath the first two ponytails. Combine it with the split first ponytail and tie it all together with a third elastic band. This creates a new second ponytail and the original second ponytail now becomes the top ponytail. Step 7 / Let down the second ponytail and now we’re going to split it into two equal sections. Step 8 / Wrap the two sections from the first ponytail around the second ponytail. Step 9 / Clip up the second ponytail and combine the two split sections from the first ponytail with a new section. Step 10 / Let down the new first ponytail. Step 11 / Split the top ponytail into two sections, wrap them around the second ponytail and tie it off with a new elastic band. Step 12 / Continue splitting the top ponytail into two sections, wrapping them around the second ponytail and tying it off with a new elastic band. Step 13 / Continue creating loops until reaching the end of the hair. Step 14 / Go back through the braid and gently pull on the edges to make it fuller. I love this style… but, have another question. Where is the blouse in the photos from? It’s beautiful! Thank you! Could you possibly do a stage makeup tutorial before Saturday? I’m going to a dance competition and am not very good at my makeup! And I’d love to see a Princess Leia Hoth inspired hair tutorial or an eleven Lord of the rings hair tutorial too! Thanks a bunch!